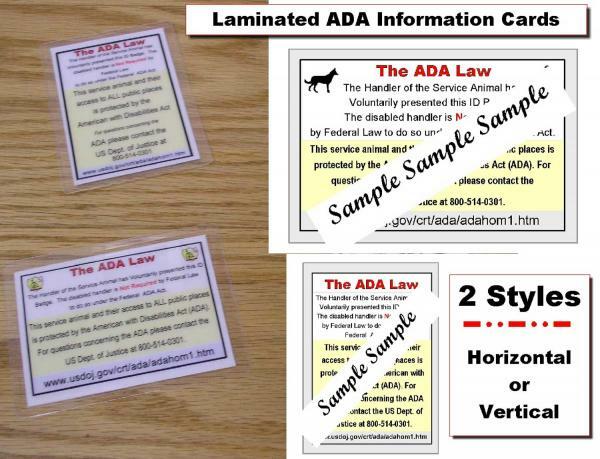 This handy ADA & Federal Law Information Card assists you in showing others (particularly airlines and public areas that are not familiar with the ADA and Federal Law) providing a short, basic overview of the ADA access. Cards are a heavy [10-mil] laminated card that you can can carry in your wallet or pocket book. Available either vertical or horizontal.